My game plan is to visit the grocery more often and pick up fresh food with each visit. Rather than obtaining packaged items that live for days in the chill chest, I’ll pick up a fresh head of broccoli and some ripe peaches. Instead of pre-sliced loaves of bread filled with preservatives, I’ll select a fresh loaf warm from the oven. I’ll pass on the pre-packaged pasta and sauce and load up on whole wheat, goodness in so many other forms. 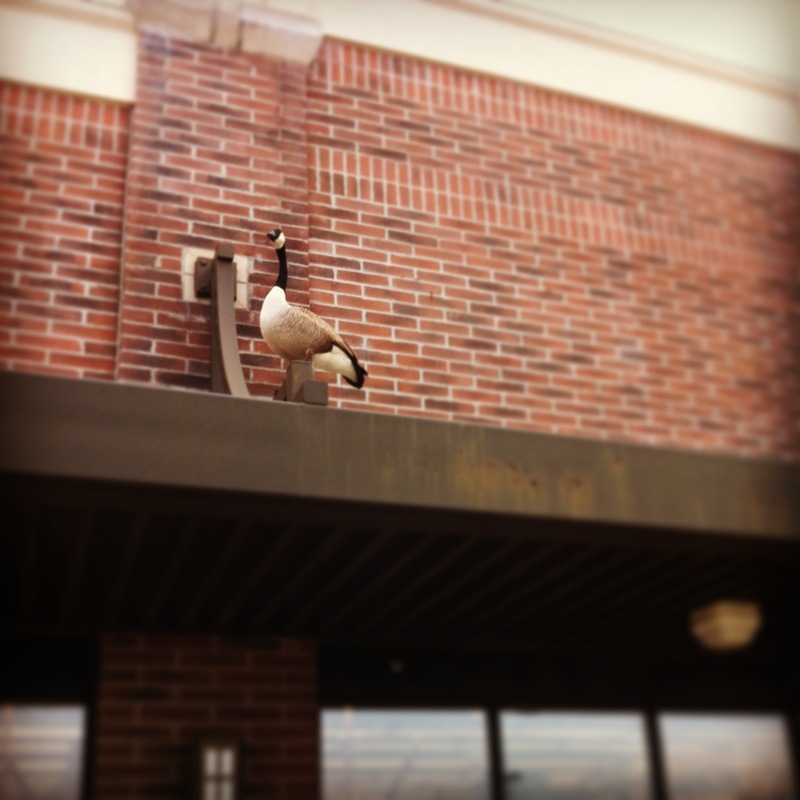 But the Goose guarding the Kroger entrance might be a little too fresh, even for this new plan of eating right.